Oh no! Not another hockey blog! Indeed, yes. PensFans4Ever is tagged the "Official Web Site of the WBS Penguin Fans" (and the professional and farm teams associated with the franchise as well). At the site you can find game recaps, a chat room for Live Game Day chats, and a message board. There's also an Interactive Schedule where you can get up to date information on past games. WAIT! That's not all! The site has a mobile app, an RSS Feed, and much much more! 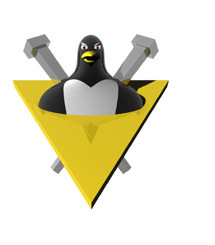 From the About: PensFans4ever was developed by Butch Pettit. It was started to keep the Wilkes-Barre/Scranton Penguins Fans along with the Pittsburgh Penguin Fans up to date with happenings as far as who is up and who is down. 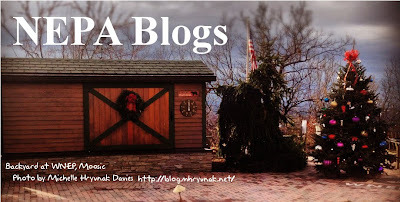 Thanks to Butch joining the NEPA Bloggers group on Facebook, we learned about a blog that we wouldn't have otherwise known was out there. Do you know of a blog that we aren't already listing? Send us an email at nepablogs@gmail.com or join our Facebook Group! Rock 107's morning DJ, Prospector, gets angry when he's out and about and notices people who have issues with parking properly. These inept parkers may have parked in between two spaces, parked in a handicapped spot with no tags, or parked between two meters. Prospector decided to take his frustrations with these "yambags" to a Tumblr photo blog called "Poor Parking in PA". Have you seen a bad park job in NEPA? 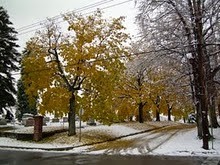 You can submit a picture through the webpage http://poorparkingpa.tumblr.com/submit or via email at Prospector@rock107.com. Please keep people's names out of the equation when you submit your image. Good morning! We hope that you all had a wonderful holiday. 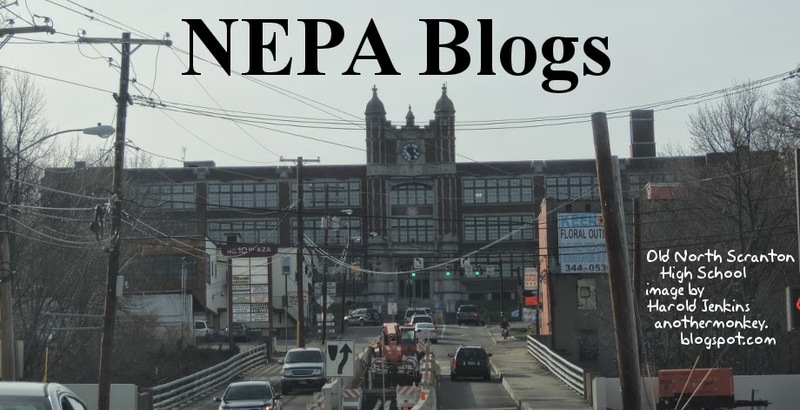 It's back to business here at NEPA Blogs. We had email submission with several new blogs that we'd like to share with you - especially timely since tax season is looming right around the corner! I recently moved from Jersey City NJ to Hawley PA (after having come to this area in the summer for almost 50 years) - and am especially happy I moved when I did because of SANDY. I have been writing the popular tax blog THE WANDERING TAX PRO (http://wanderingtaxpro.blogspot.com/) since June of 2011. It provides advice, information, and resources on federal income taxes and is written for the average middle and upper-middle class taxpayer. I also write the blog THE TAX PROFESSIONAL (http://thetaxprofessional.blogspot.com/) for professional tax preparers. 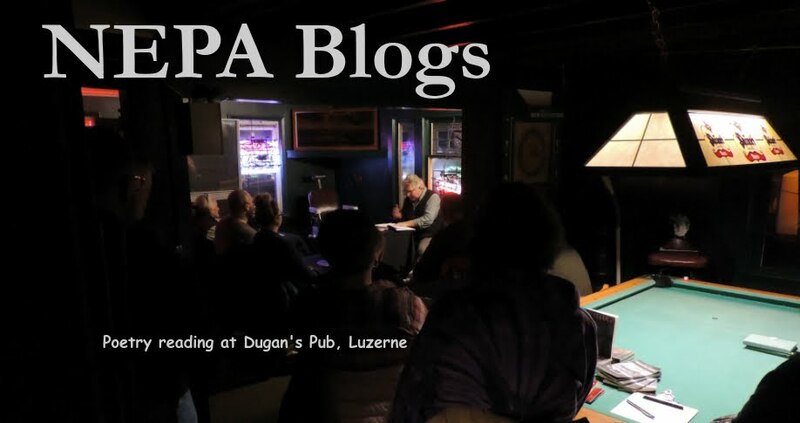 I would like these blogs to be considered for inclusion in the NEPA Blogs. All of these blogs will be listed in the side bar for your reading pleasure. If you are new to the area and would like us to list your blog, send us an email at nepablogs@gmail.com! This week's header image is a little unusual. I couldn't decide on which image to use to bridge the week starting the day after Christmas and ending on New Year's Day. So I decided to use all of them. Every header that we used in 2012! "But wait," you might say, "An Earth-standard year is fifty-two weeks long, and the image above, while impressive and all, contains (7x4)+(6x4)+2 = 28+24+2 = 54 images! How can this be?!" To which, of course, I would explain "Shut up, that's how." Sharp-eyed observers might note that an image in the second-from-last row on the right-hand side appears twice; this is because these pictures are taken from the NEPA Bloggers "Past Headers" photo album, and I initially posted this photo with an incorrect location description. By the time I got the correction, several comments had been posted to the first version. So, rather than delete it, and them, I kept both versions. Sharp-witted observers will further note that the first image is actually our Christmas 2011 photo, which was posted on December 21, 2011 and ran until December 27, 2011.So it doesn't really belong here, but I liked it so much I wanted to include it. Also, excluding it would have required some effort on my part that I didn't feel like exerting. This was actually the most difficult and time-consuming image of the year, mainly because of three arbitrary rules I set up long ago: each header image must be 920 pixels wide, "NEPA Blogs" must appear in 96-point Times New Roman Bold, and the descriptive text must appear in 18-point Akbar. This meant I had to wing it when creating the basic image with two blocks of photos captured by screen grabs, particularly the gap between them. After I had them assembled, cropped, and resized to 920 pixels across, I then tried to fit the logo and descriptive text between them. If the text didn't fit, I couldn't just move things; I had to throw it all away and start over, leaving a slightly larger gap...all while working in a graphics program I'm just learning to use. I hope I got the names of everyone who contributed a photo this year. Some of the names on that list were responsible for numerous photos, especially Cheri Sundra, Trish Hartman, and Brent Pennington. Michelle Hryvnak Davies and I also provided a disproportionately large number, though my contributions were often the result of suddenly realizing we didn't have anything else lined up, or that the image we planned to use for a given week couldn't be used for some reason. These pictures represent Northeastern Pennsylvania ans seen through the eyes and lenses of many excellent local photographers. I know there are many others out there who have their own unique views of the region. Please share them with everyone by submitting them to nepablogs@gmail.com! A big thank you to everyone who contributed a photo in 2012! And thanks to all the bloggers and readers who continue to give us a reason to keep NEPA Blogs going! This will be our header until a new one goes up on December 26, and that header will stay up right through January 1! 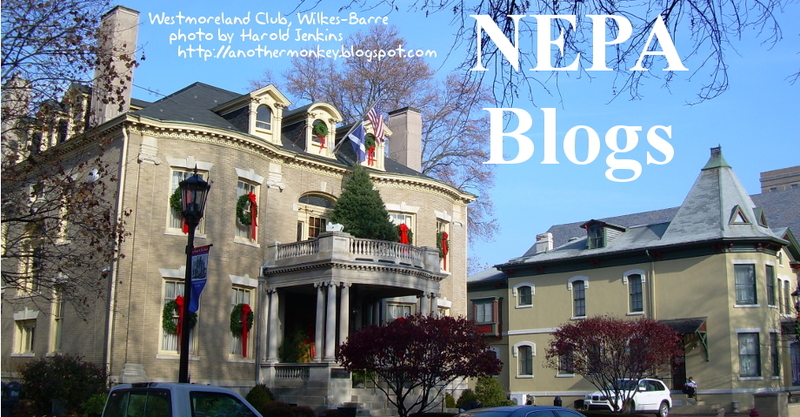 So, if you want to be in the position of having the very last NEPA Blogs header of 2012, and the very first one of 2013, send your header submission to nepablogs@gmail.com! Debbie Dabble is a local crafter and bon vivant who loves Christmas. A lot. She has one blog all about crafting, decorating, and things that interest her, but A Debbie-Dabble Christmas focuses exclusively on Christmas. And it's updated year-round! Her blog is filled with photos of ornaments, decorations, figurines, collectibles, wreaths, and more trees than you can imagine. If I were looking at this stuff in person I would be afraid to move for fear of knocking over something, or a lot of somethings. But with A Debbie-Dabble Christmas you can view it all on her blog from the safety of your computer! Lots of people have hobbies. Lots of people like to decorate. Lots of people like to collect things. And lots of people love Christmas. But some people take it to the extreme - and then are good enough to share the results with the rest of us. Maybe you won't wind up decorating your house quite as elaborately as this, but A Debbie-Dabble Christmas is still a fun place to visit! We've got an image already lined up for next week's header, but if you have one to run the following week - December 26 through January 1 - we'd love to see it! Please send it to us at nepablogs@gmail.com. Just think, you can have the last word on Christmas, and the first word on New Year's! Your image can close out 2012 and ring in 2013! At Christmastime, many people love going around to see the elaborate and festive lighting displays that are scattered around Northeastern Pennsylvania. But wouldn't it be nice if there were a website to tell you where to see the biggest, the brightest, and the best? That's exactly what Locate the Lights does: it's a guide to the best lighting displays in the area, plus outstanding lighting displays from all over. The site also lists Christmas parades, holiday markets, and more. There's even a form that allows you to share any lighting displays you may find, and you can submit your photos as well! It's fun to drive around and randomly discover lighting displays tucked away on side streets and in obscure locations. But Locate the Lights helps you find the most impressive ones - maybe even ones you would never have found on your own. And if you do discover one that's especially impressive, be sure to share it so everyone can enjoy! We've got three blogs on the NEPA Blogs roster that are specifically dedicated to Christmas. 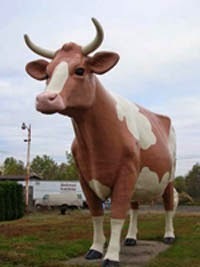 Are there more out there in northeastern Pennsylvania? The first blog I want to mention is one we haven't actually showcased yet, though it is listed on our sidebar. It's called Locate the Lights, and it's a blog dedicated to connecting you with the biggest, brightest, and best Christmas light displays in Northeastern Pennsylvania! This site has recently been featured in local newspapers. Watch for it on WBRE's PA Live! on Tuesday, December 11! The second blog is one that was mentioned a while ago, and is by crafter, decorator, and Christmas enthusiast Debbie Dabble! She has two blogs, but this one - A Debbie-Dabble Christmas - is dedicated entirely to Christmas! Debbie Dabble is into Christmas in a huge way. Visit her site to marvel at her amazing decorations, or to get decorating ideas for yourself - or if you don't feel like decorating for Christmas, just leave her site up on your computer and you'll be ahead of the game! Look for this blog to be featured on PA Live! on Tuesday, December 18! The third blog is no longer updating, because it has done its job already. 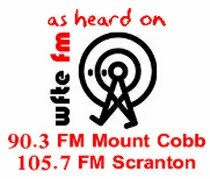 We first mentioned Scranton Christmas Windows, 1938-1960 way back in 2009, and we featured this blog as the Blog of the Week on PA Live! in December 2011. It set out to post all of the photos of the Christmas windows of Scranton that were uncovered in a trove some years back, and they accomplished this in just a few months. But the blog remains, featuring all of these amazing images! 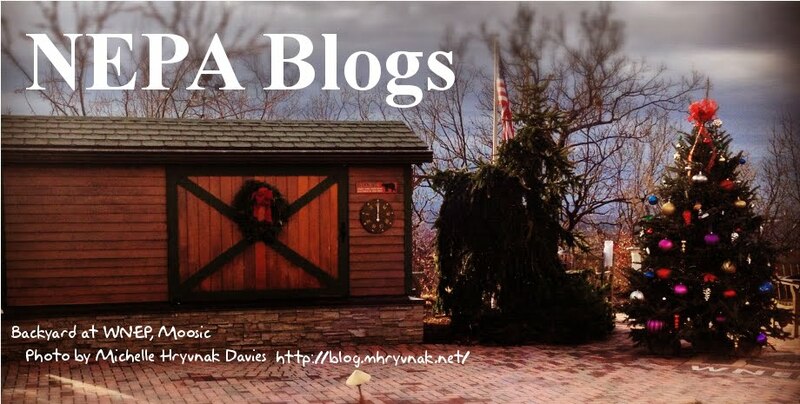 So there you have it: three NEPA-based blogs that focus exclusively on Christmas! Are there more? Let us know! 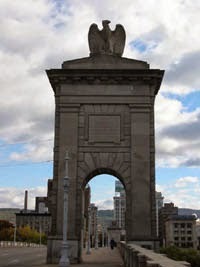 Magician and blogger Mark Mysterrio (http://pennsylvaniabirthdaymagitcian.com/) is involved with two different Christmas magic events in the next week and a half. The first is this weekend's 2nd Annual Magic Show for Toys for Tots (http://www.facebook.com/events/161955357281050/) being held at Brews Brothers West in Luzerne (75 Main Street) on Saturday, December 8 from 6:00 PM to 8:30 PM. This show features numerous local and regional magicians. It's targeted towards children, but adults will have fun too! Admission is only $5 or a new, unwrapped toy. Mark Mysterrio also has a magic show in honor of Frosty's birthday on Sunday, December 16 at The Living Room in Stroudsburg (522 Main Street, next to the Sherman Theater) at 2:00 PM. Admission is $8, and a portion of the proceeds will benefit the American Cancer Society. This week's header image is of the WNEP Wyoming Valley Newsroom on Public Square in Wilkes-Barre, festively decorated for Christmas. The image is by reporter Andy Palumbo (http://andypalumbo.blogspot.com.) You can see the full photo in this post: http://andypalumbo.blogspot.com/2012/11/bad-photography-saturday-wvnr.html. If you have any holiday-themed photos of Northeastern Pennsylvania you can share, we'd like to feature them as our header of the week for one of the remaining weeks of December! Please send them to us at nepablogs@gmail.com! Our PA Live! Blog of the Week this week is Lacey's Barkery Blog (http://laceysbarkery.com/blog/). Lacey's Barkery is an Old Forge-based dog bakery that sells healthy homemade human-grade dog treats and dog birthday cakes. A few months ago they incorporated a blog into their website, and the blog has taken off. Lacey's Barkery Blog is written by a team of bloggers and pet industry professionals. Posts cover dog health, dog safety, human-canine interactions, dog product recalls, and all sorts of other information to make sure your dog friends have a long and happy life, with some funny dog stories thrown in here and there. If you have a dog, or if you ever interact with a dog in your daily life, Lacey's Barkery Blog is a great place to go for a wealth of information and resources for keeping your doggie friends happy and healthy for years to come.